The tube bending machine highlighted here was custom fabricated for an automotive client in Monterrey, Mexico. They needed a fast efficient system that would perform a number of precision bends. 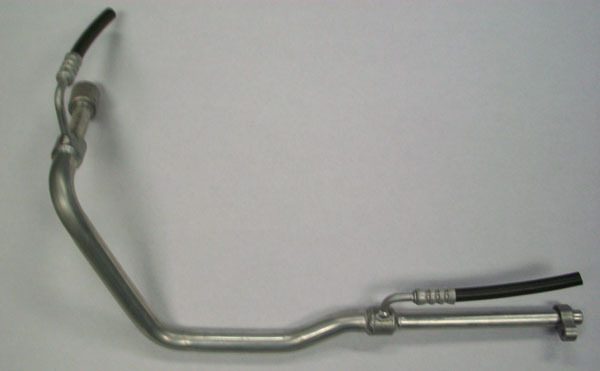 Their brazed tube assembly consisted of an IHX tube that needed 4 bends, a 5/8″ diameter tube which required a single bend, and an 8mm diameter tube that required 2 bends, all to tolerances of ±1.5mm. This project was another ground up design, engineering, and fabrication effort. With the customer specifications in hand our engineering staff created a design that would meet all of the criteria and provide a robust, easy to operate system that would deliver quality parts for years to come. We selected an Allen Bradley PLC system and Parker Hannifin pneumatic valves, which are operated from an Allen Bradley programmable operator interface. 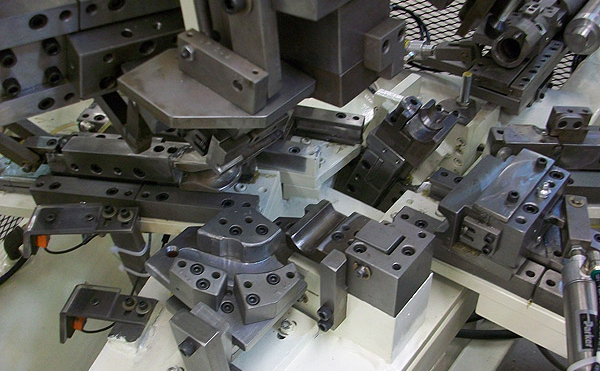 All non-sourced components were fabricated in-house in our fully equipped machine and fab shop. 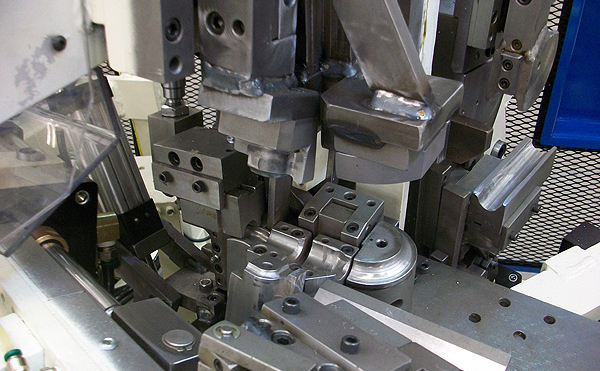 This facility is equipped with advanced machining and fabrication resources which include CNC and manual milling, turning, grinding, and a wide range of coating and assembly capabilities. The machine base was fabricated from square tubing, with a hot rolled steel base plate, which was primed and painted. The guarding was composed of 16 gage sheet metal and 16 gage expanded metal that was framed in a C-channel for added strength. The guarding was also painted a bright safety yellow and blue. The tooling was precision machined and heat treated to enhance longevity; it was composed of a combination of materials including heat treated A2 and S7 tool steel, hot rolled steel, and 1018 steel. Everything that we manufacture is subject to stringent quality measures and testing, this project received dimensional and gage inspections as well as extensive functionality testing. We completed this project in just 11 weeks, the finished tube bending fixture machine featured a part to part cycle time of 24 second: 10 seconds for operator duties, 14 seconds for the 1st stage tooling operation, 13 seconds for the 2nd stage. The machine was programmed to operate the 1st and 2nd stage tooling sequence concurrently.